This Web-page from Australian Department of Foreign Affairs and Trade has country fact sheets that contain basic economic data and trade statistics, including major commodities traded with Australia. An overview of Australian trade is provided on the Department of Foreign Affairs and Trade (DFAT) website. Charts show exports by sector for the top merchandise and service exports. 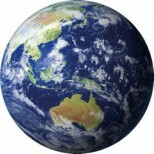 Information about Australia’s world and country trade statistics from Austrade. The Australian Government’s Department of Foreign Affairs and Trade (DFAT) provides political, trade and economic information about the Republic of Korea. A country factsheet and information about Australia’s trade relations with South Korea are on the site. trade problems they face with each other. Australia’s APEC representative has just retired and the position has been left vacant. You have been training for this job for a long time and now is your chance! To apply for this position, you must make a presentation to the remainder of the APEC members explaining how Australia is linked with a country in the Asia-Pacific Region. Your presentation is to cover ONE link selected from the following: aid, defence, migration, trade, sport, culture, tourism, and communication. Use Bibliography generators such as the Harvard generator or Cite this for me to reference sources as you go. The first place many students will go is Wikipedia. It is quite text dense. A better alternative is the often school or local library databases (encyclopaedias).